When you think of Hiroshima, and the food there, the first thing that comes to mind is Okonomiyaki. 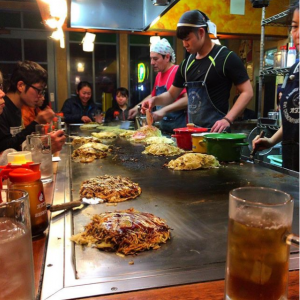 To make Okonomiyaki, the basic ingredients, including slices of pork, shredded cabbage, bean sprouts, eggs, Chinese noodles and special sauce are cooked on a crepe. There are several other options that people like to add.